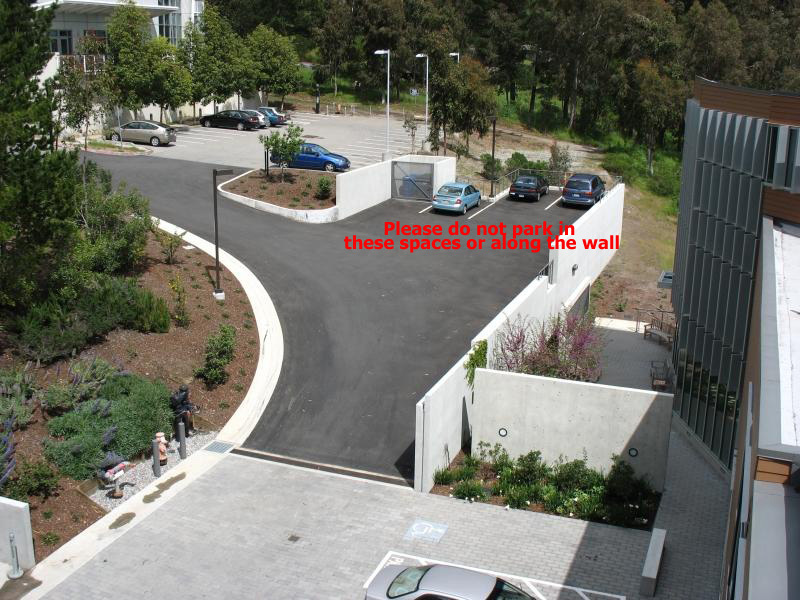 The MSRI parking lot consists of the top two levels of the hill terrace parking. The lot is on the hill below the MSRI building off Centennial Drive. MSRI has a limited number of parking slots for members, staff, workshop participants and special events attendees. Due to the limited number of spaces, these parking spots tend to fill up quickly. Additional parking is available in the lower levels, for a fee. The UCB Police department patrols all of the lots and will ticket vehicles that are parked off the pavement or that do not have a visible permit. There are three parking spaces directly in front of Chern Hall for anyone with a Disabled Person Parking Placard. The parking spaces at the top of the driveway near the MSRI building are reserved for staff members and service providers. Please do not double park next to these spaces or along the cement wall. During workshops or special events, temporary parking permits for the MSRI Only parking area are available for attendees in a box on the first stair landing towards MSRI. Permits must be displayed under the windshield of your vehicle. If the MSRI parking becomes filled, guests are welcome to park in the UC Berkeley fee-based lot (more information below), or along Grizzly Peak Blvd. After you park in the Hill Terrace parking lots, take note of the parking space number, find a pay station and purchase your parking permit. The pay station is located near the traffic light in front of the Lawrence Hall of Science and it accepts quarters as well as $1, $5, and $10 bills. Guests can return to MSRI via the parking lot stairs, or on M-F, via the UCB Hill Shuttle service. 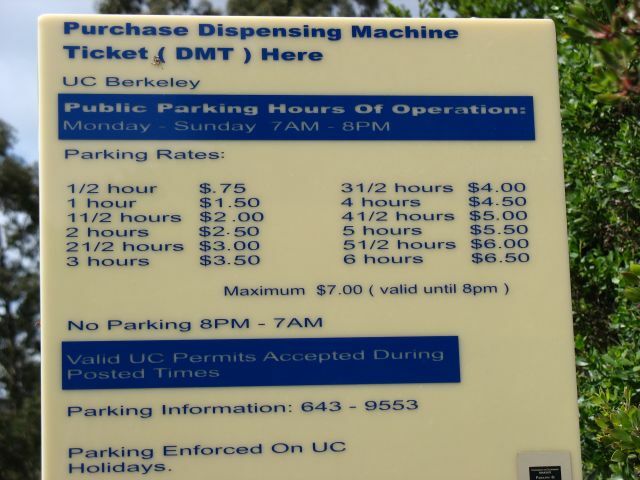 Parking in the lots surrounding the Space Science Labs is by UC Berkeley permit or PayByPhone only, enforced 24 hours a day, 7 days per week. UC Berkeley police enforce parking permits in these areas. PayByPhone information is located on signage in the parking lot and MSRI is not involved in the transaction.